Set in the trendy Vesterbro district, this boutique hotel is just 200 m from Copenhagen Central Station. It offers modern, design rooms with LED TVs and free Wi-Fi.Andersen Boutique Hotel provides stylish rooms with décor by award-winning company Designers Guild. Each room has soundproofed windows, a shower and Molton Brown toiletries. All feature a minibar, desk and safe.Vesterbro is a great choice for travellers interested in shopping, food and museums. This hotel is located just a short distance away from the centre of Copenhagen. The hotel is situated within easy access of the city centre, lying in close proximity to the many attractions that it has to offer. Links to the public transport network are to be found just 300 metres away. 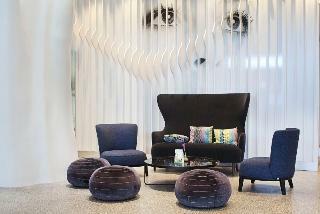 This modern city hotel enjoys a charming architectural design. The guest rooms are elegantly appointed, oozing character and charm. The hotel offers a range of excellent facilities, meeting the needs of every type of traveller to a high level of excellence. 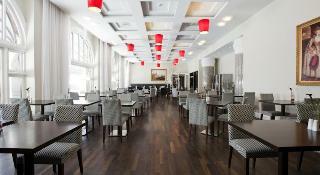 Those travelling for work purposes are invited to make use of the hotel's conference facilities. 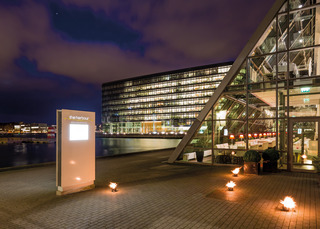 The hotel is situated on an artificial island by the promenade of the harbour of Copenhagen. 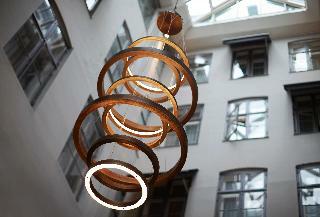 It is within walking distance of the Tivoli Gardens and Strøget Shopping Street. Opened in 2006, this design hotel comprises a total of 326 rooms. They afford a wonderful view of the harbour. The exceptional architecture and the numerous luxurious facilities make this hotel particularly unique. Guests are able to experience the luxurious conference facilities of the hotel where light, glass and water create a unique environment, with exquisite design, modern comfort and a high level of service. The hotel provides 10 exclusive and innovated conference rooms of various sizes. All conference rooms feature air-conditioning, natural light and the latest technologies. The hotel offers variable booking solutions for all conference facilities to suit the needs of its guests. 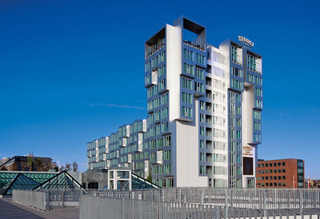 The hotel is designed by the architect Kim Utzon and came to life through a close cooperation between Arp-Hansen Hotel Group and Tivoli Gardens. The minimalistic yet inviting Scandinavian architecture and design makes the hotel and congress center completely unique and without parallel to other venues.The property offers 679 guest rooms and luxurious facilities for both business travellers and leisure guests including; Concierge service, Express Check Out Service, a large indoor swimming pool & sauna, a well-equipped fitness centre and a business centre. 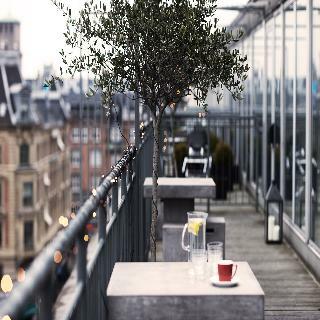 In addition, free wireless internet access is offered throughout the hotel and the 55 conference rooms, which are designed to give our guests a unique meeting experience.At Tivoli Hotel & Congress Center guests have a unique possibility to dine at some of Copenhagen's most popular restaurants without even leaving the hotel. Guests will find the following restaurants on-site: Restaurant Tivoli Brasserie, Sticks'n'Sushi Skybar, Steak restaurant MASH Penthouse, Tivoli Lobby Bar and Tivoli View on the 11th floor where breakfast is served for guests in Executive Rooms and Suites.With a unique location in central Copenhagen, the Tivoli Hotel & Congress Center is within walking distance of the Central Station, the Tivoli Gardens, the Town Hall Square and many other city attractions.